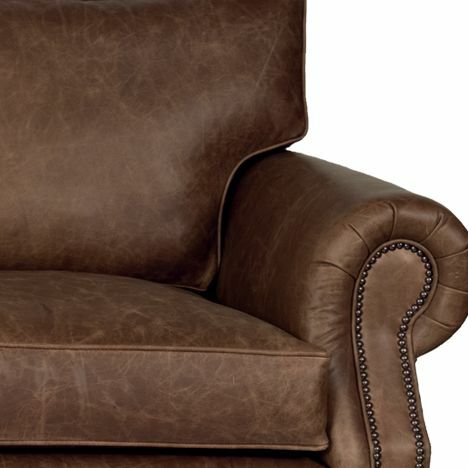 Luxuriously upholstered in our vintage dark brown leather range. The No.6 small 2 seater sofa provides ample room for 2 adults. 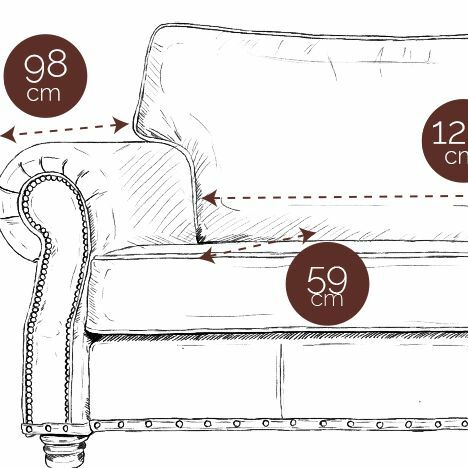 More French in design than that of our other chesterfields the No.6 falls more into the realm of “sofa”. Low gently reclined arms with brass pinning, and a soft cushioned back rather than a buttoned tight back our No.6 provides the perfect mix of style and substance. Soft foam and Dacron cushions provide long lasting comfort, whilst antique look brass casters at the front complete the look.